With centre at A, take radius AO and draw the arc EH. With centre at B, take radius BO and draw the arc GJ. With centre at C, take radius CO and draw the arc LI. With centre at D, take radius DO and draw the arc FK. 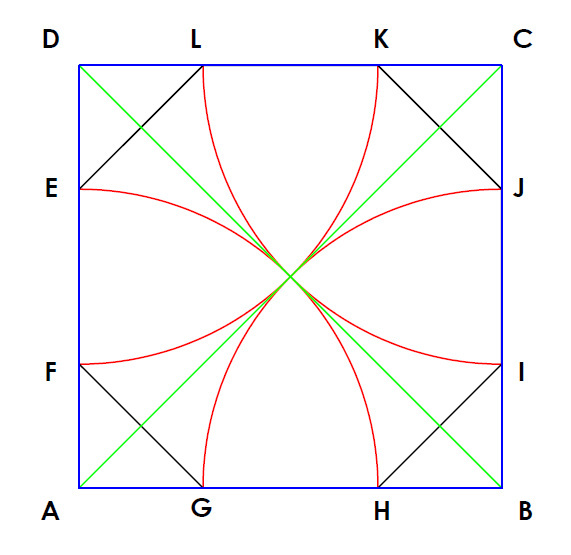 The figure created when you join EFGHIJKL, creates a regular octagon.